Google Explains Why Some Image Search Results Look Racist | The SEO Dr. 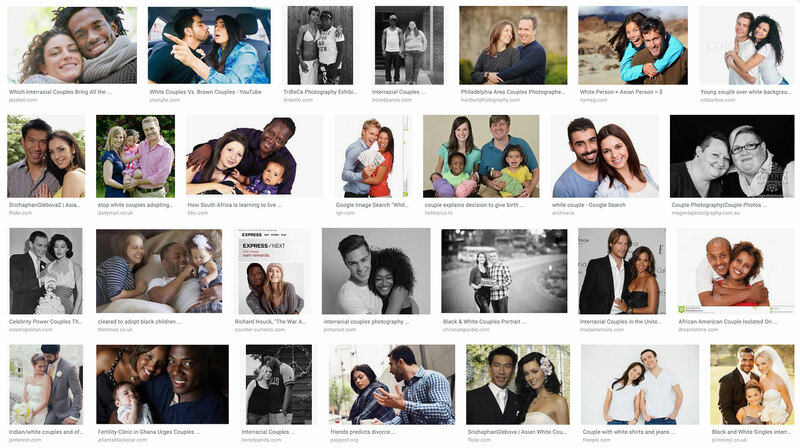 Someone pointed out to Google’s Danny Sullivan that searching Google Image search for [white couples] vs [black couples] shows racist bias by Google. Danny Sullivan explained why the results were not racist on Twitter. First, look at the differences between the two search results. You can see while the black couples search results show just black couples, the white couples shows interracial couples. We don't. As it turns out, when people post images of white couples, they tend to say only "couples" & not provide a race. But when there are mixed couples, then "white" gets mentioned. Our image search depends on heavily words — so when we don't get the words, this can happen. Maybe Google has to learn how to be more sensitive to people? Or will that cause more bias?